Trouble Getting Approved in Indiana? Wayne is tired of credit cards. He has several and was using them a lot to gain travel points for air travel which he has used many times. The problem Wayne has run into lately is that a couple of times he almost did not have enough ready cash to pay off the balance when the statement arrived. He was barely able to gather enough money to meet the deadline. As most people are aware if you miss the payment date interest is charged on the full balance at the rate of 19% or 21% depending on the card that you have. He really does not want to have a balance and he does not want to pay such high interest. This time he charged a trip and also some furniture he bought and he needs a loan to allow him to pay his credit card debt in full. He will have the loan but it will be at a much lower interest rate. He knows that he broke the rule of not buying something and charging it to a credit card unless you have the funds to pay for it when the statement arrives. At any rate he now wants to borrow $8400 and pay it off over a three year term. He will maintain a zero percent utilization rate on his credit cards and he hopes he will have the will power to avoid using them further. Wayne should have no problem being approved for this loan. He has a very good credit score and no reports of any kind on his credit report of late payments or missed payments. Because he has always paid his credit cards in full each month, his debt utilization rate is actually zero. This loan of course will change that, but not in a significantly bad way. This is one of the factors that lenders look at when they are deciding to approve a loan. A high utilization number can indicate that the person has borrowed a lot of funds and may have difficulty repaying the loan. This is one factor that is considered among many when a loan is being considered. He also has a good job. He has been employed for over fifteen years at the same company and has a stable income. Before the loan can be approved, he will need to provide additional information about what other loans and perhaps mortgages that he may have. Most people who own a home will have a mortgage along with a car loan. Once this information is provided, the lenders can evaluate the loan application completely and make a decision regarding his loan request. Wayne is on the right path regarding his debt. He should probably keep his credit card accounts and only use them sparingly in the coming years to maintain his high credit score. 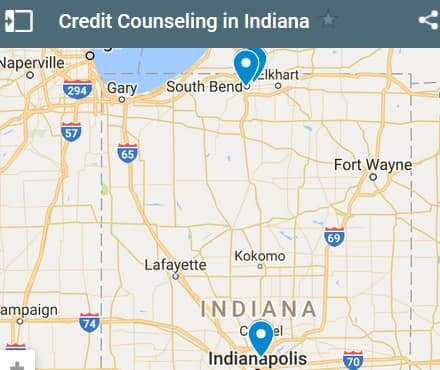 If you live in the State of Indiana and you're struggling to get a loan approval with a bad credit rating we hope our website helps you in some way. Last 5 debt service loans approved in the State of Indiana. Source: WFL Lender Pool. Updated Weekly. Principals rounded to the nearest $1000. Relative interest rates listed below in order left to right. 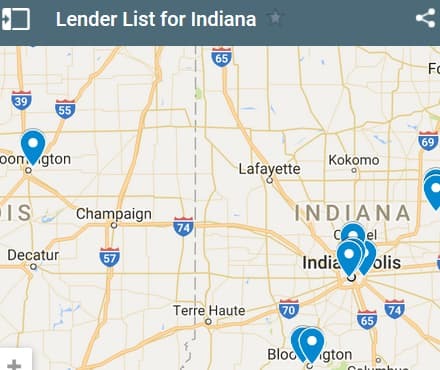 Indiana residents who need to consolidate their high interest debt can try some of the listed lenders to see if they can help. If your credit score is low you will have better luck with credit unions than large national banks. If your credit rating is really bad you will have more luck utilizing the WFL lender pool with a submitted pre-app above. We have over 300 lenders who will review bad credit consolidation loans as long as you have a monthly income. You can see the list of benefits for our lender pool listed below as well. If you don't get approved for a loan within 5 business days, you can apply again on our site. You can apply for a consolidation loan as many time as you want and it WILL NOT HURT YOUR CREDIT SCORE. That is the major benefit you get from using our service. We don't spam your email box either. We DO NOT email you - only approve lenders in our bad credit pool have access to your email. Dan is barely into his 20’s and he already has debt problems. He borrowed some money to buy a used clunker which he is fixing up so he would have wheels to get back and forth to his job at a local bar. He is one of the bartenders at a very popular club and makes a lot on tips on a busy night. Most of it is cash, although more and more is from credit card receipts where patrons just add the tip to their card. He cannot hide that income and has to claim it on his IRS tax filing each year. He also has a small amount of credit card debt which he wants to consolidate with his car loan. He only needs about $4500 to consolidate his debts, but it seems to be a problem for him to come up with the money on his own so he is applying for this loan. Aside from his rent for his apartment which he shares with a friend, he does not have much in the way of expenses. He tends to spend everything almost as soon as he gets paid which is once a week. Dan has not put anything away for emergencies or savings of any kind. He figures that with this loan it will be enforced savings in a sense, since the loan will come directly out of his checking account and he will not be tempted to spend the money if it is being withdrawn automatically. He knows that if he is approved for a loan he must make sure that there is sufficient balance in the account to cover the loan payment. He would like a loan of $4500 with a two year term so that he repays the loan fairly quickly with little in terms of interest charges. Although Dan is in his early 20’s he really does not have much to show yet in terms of finances. He has no savings and no funds to use for emergencies. He spends everything he earns and has a good time. He also actually has a decent credit score surprisingly. He has not missed any payments and he has little in the way of debt other than his one credit card. Dan will likely be approved for his loan application, however Dan should really consider setting up an account to save for emergencies and anything he would like to purchase in the future. If he were to lose his job, become sick and not work for a while or need another car he has nothing to rely on. Actually a debt consolidation loan could be a good approach for him if it causes him to form the habit of always paying this amount each month. When he is finished paying the loan, he could continue paying the same amount into a savings account for future needs instead of living from pay check to pay check. We wish him luck in the future. 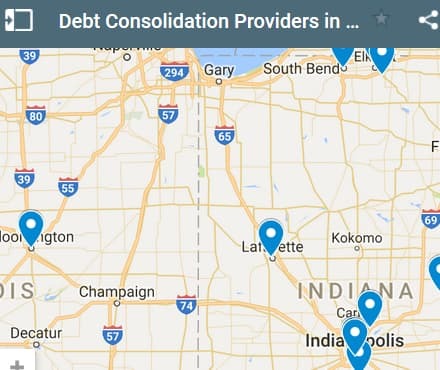 If you live in the State of Indiana and you're trying to get approved for a debt consolidation loan, we hope our website helps you find a good lender regardless of your credit rating. Counselors contact us for listing amendment.